How long did the Ark stay in the temple ? Jerusalem hasn’t been a free city under God’s rule since the Ark was removed from the temple and Babylon took it over. But where was it taken? The Bible gives us several clues as to how long it still remained there. God delivers Jerusalem and angels slays the army camping around Jerusalem. Isaiah prophecies of the future of every nation attacking God now and in the future. Hezekiah himself got very ill but after pleading with God he was cured and his life was prolonged for another 15 years. Hezekiah was very happy and when some men came from Babylon to visit he showed them all his treasures and the wealth of the city. This wasn’t the best idea and Hezekiah are told by a prophet that Babylon would one day take Jerusalem. God said because of what Manasseh did, and because the people followed him, he will deliver Jerusalem and the people into the hands of their enemies. It’s clear here that God is referring to the temple the Ark stood in. It says Manasseh consulted spirits and used enchantments. And that he placed a “grove” in the temple where God was to dwell. Now a ‘grove’ was a tree that represented the goddess Asherah. It was decorated with gold and silver and had a ‘serpent’ going around the pole of the tree. Josiah is prepared to do anything to turn Jerusalem’s faith. He continues to cleanse the land of idol worship. 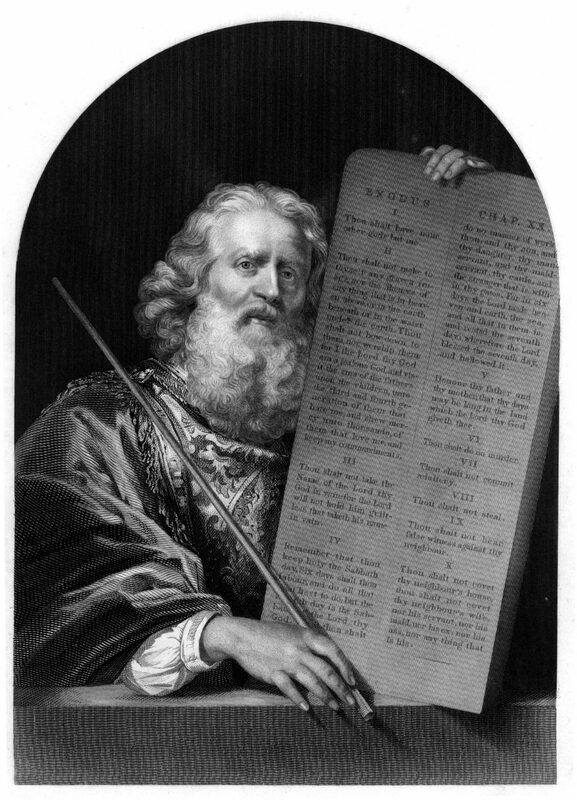 In the same year, he re-instates Gods times and prepares the land to keep the feast of Passover. Apparently, the king has known the whereabouts of the Ark of the Covenant and where it had been hidden during Manasseh’s reign. He now orders it placed back into the restored temple: “And said unto the Levites that taught all Israel, which were holy unto the LORD, Put the holy ark in the house which Solomon the son of David king of Israel did build; it shall not be a burden upon your shoulders: serve now the LORD your God, and his people Israel” (2.Ch.35:3) As we see here the Ark that many had discussed and talked of according to Jeremiah, was now back in the temple. Perhaps the Ark had been hidden in wait for the curse to hit the land, but now a new probation time had been given through Jerusalem by Josiah’s faithfulness. They could again sacrifice to the Lord. The Ark had first been placed in the temple during the feast of Sukkot by King Solomon. This time it was placed in the temple during Passover. Both are the Lord’s ordained times. The sad future of Jerusalem seems to be impossible to undo as Josiah’s sons who reigned after him did not continue in their father’s footsteps. Three of Josiah’s sons were to reign. Josiah had made a terrible decision to mingle in a battle between Egypt and Babylon. Josiah’s had decided to help Babylon fight Egypt not consider the very act would strengthen Babylon that God had already told Hezekiah would one day capture Jerusalem and it’s treasures. 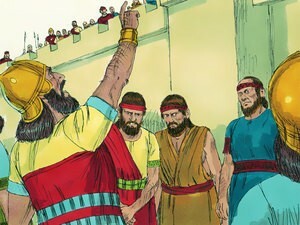 (2.Ch.35:20-24) Josiah was shot during the war and died and left the kingdom to soon to his immature sons. The prophet Jeremiah cried for Josiah and many were devastated to lose him. The first son to rule after Josiah was Jehoarch who only reigned for 3 months before the king of Egypt came and made his brother Jehoiakim king instead. Egypt now demanded heavy taxes from Jerusalem. He reigned for 11 years and didn’t follow God’s lead and continued the wrong path. The first group of captives is taken to Babylon during his first years as king. The people that were first taken to Babylon was the king’s seed, the princes, the skillful and wise. The scientists and those who were well favored. With this Babylon robbed Jerusalem of anyone that could make Jerusalem great and progress. Among the captives was the prophet Daniel and his three friends. They decide to remain faithful to God even when they arrive in Babylon. God’s attempt to get through to the king continues. 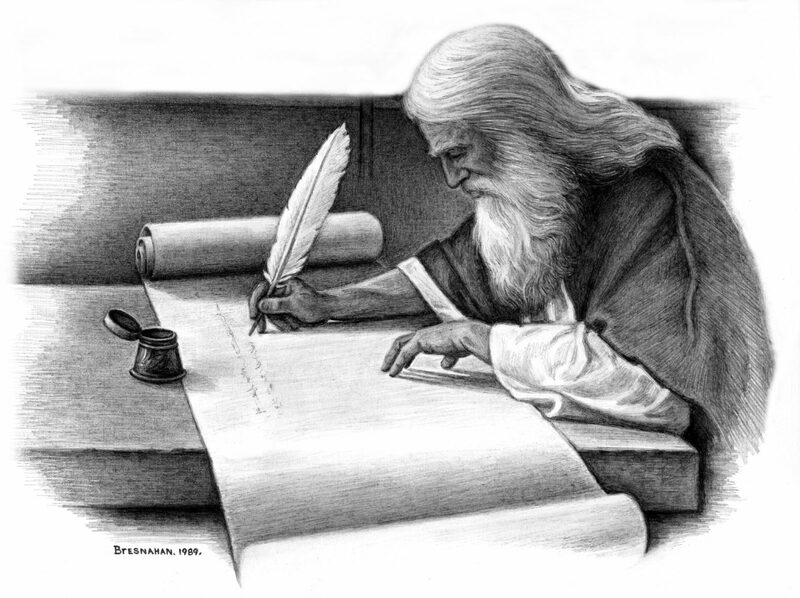 Jeremiah and Baruch write him messages of warning from God but Jehoiakim just throws the message in the fire. After taxing to Babylon for nearly three years Jehoiakim decided to rebel. After Jehoiakim, his son Jehoiachin takes over but only rules for 3 months before Babylon re-conquers the city and takes both him, his mother, servants and princes and officers to Babylon as prisoners. Babylon also robs the temple for its treasures. Along with the king’s house, the second group of captives is the mighty men of Jerusalem, the craftsmen, and smiths. During this raid, the prophet Ezekiel is taken and brought to Babylon. Now robbed of its riches and of their craftsmen Jerusalem was a poor city with poor people with little talent and skills. 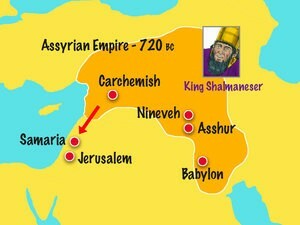 The King of Babylon let Josiah’s third son, Zedekiah, take over as king of Jerusalem. Jerusalem still has the prophet Jeremiah in their midst who keeps trying to talk reason to Zedekiah. If Zedekiah rebels against Babylon’s king he will not spare the city. He also let him know that God will not save the city from his hands. But Zedekiah gets advice from the priests that remain in the city and they speak against Jeremiah. They even try to silence him, mock him and imprison him. They claimed boldly that God is still with them because they still have the law. This indicates strongly that the Ark is still standing there, or they would not have been so confident. God here explains that the time is over, he will now leave the sanctuary because of their great sins. They have turned their backs to His throne and the law inside it to worship the sun in the east. “And he brought me into the inner court of the LORD’S house, and, behold, at the door of the temple of the LORD, between the porch and the altar, were about five and twenty men, with their backs toward the temple of the LORD, and their faces toward the east; and they worshipped the sun toward the east.” (Ezek.8:16) Just like the Ark was removed when Manasseh decided to place idols in God’s place, so this group has decided to turn their back towards God’s reign to worship the gods of Babylon. The result, God explains, is that he will leave His sanctuary. The scene when he leaves is then described. When The Ark of the Covenant was placed into the temple the Shekinah, God’s presence, came over to dwell over the cherubim of the Ark and the house was filled with smoke. (See.2.Ch.13-14) When God leaves we again see the temple filled with smoke. “And the glory of the God of Israel was gone up from the cherub, whereupon he was, to the threshold of the house.” (Ezek.9:3) Here we are probably directed to the cherubim of the Ark of The Covenant where God had dwelled in the temple. And so this is very much a confirmation the Ark was still in the temple at this time. There are explained of several cherubim in the same chapter as God has his own cherubim on his heavenly throne. He never sat on the Ark itself but dwelled over it. When it says he leaves the “cherub, whereupon he was” it cannot refer to the cherub on his heavenly throne as they are described to be with him at all times during the vision. He doesn’t leave his place over them. But he leaves the temple and the cherubim there. We are then told that the Lord on his heavenly throne move from the temple to the mount of olives before He leaves. God then leaves the city and takes away His protection and the city’s is an easy prey for its enemies. This means the Ark was probably there until Jerusalem was under siege. Jerusalem was besieged in the 10th day in the 10th month. The moment Jerusalem was under siege to be destroyed God had to remove Himself and His throne or His throne would be under siege too. The difference between this siege and the previous was that this time Jerusalem was permanently under Babylonian control. It’s therefore reasonable to assume perhaps the ark was hidden the first day of the siege, on the tenth day of the tenth month. Because before that day the priests seemed confident that the city would not be captured. They had Jeremiah imprisoned. And so as soon as the siege took place they knew the Ark was at risk. Would they wait a few weeks to see if the Babylonian army was serious? Or would they hide it straight away? The reason I’m asking is that as we will soon see, the Ark will be claimed re-discovered in our own day on the same day Jerusalem was under siege. The tenth day of the tenth month. If they didn’t realize the seriousness of the situation before the city was in fact under siege then the places to hide the Ark would be very limited. And even if the Ark was hidden before the siege, it would have drawn a lot of attention if the Ark was moved in plain sight. The vision given Ezekiel of the time God leaves the Most holy place in the temple is about five years before the city is destroyed. But Ezekiel was taken in vision and could have described a future event. The art of prophecy is foretelling an event not describing it as it happens. We know the Ark was never mentioned again in any of the old testament books. It’s not written where it was taken or when or by who. He said «And hallow my sabbaths; and they shall be a sign between me and you, that ye may know that I am the LORD your God.», but they rejected His offer, and His sign, and so He allowed Jerusalem to be conquered by the very power who’s laws and religion they followed. (Esek.20:20) God had promised if they kept the Sabbath, they would keep their rule over their own kingdom. But they rejected God, and from this time on the corrupted religious ‘beasts’ started to rule over and subdue God’s people. Rejecting God’s sign of authority placed them under the authority of the ‘beasts’. This continued all the way to the Roman empire where God’s people were scattered around the world. Papal Rome took over the religious influence and tried to force it’s corrupted pagan-Christian religion onto God’s people. The second book of the Maccabees is a book that focuses on the Jewish revolt against Antiochus Epiphanes. Orthodox and Catholics have this books as part of their bibles, while most Protestants and Jews reject the doctrines in the book to be inspired. It is claimed to have been written by a greek jew around 100 BC. And so several hundred years after the ark’s disappearance. The most likely is that the writing on the Ark’s destiny in this book is tied to a ‘saying’ among the jews. Chapter 2 in the book says: “The records show that it was the prophet Jeremiah who … prompted by a divine message … gave orders that the Tent of Meeting and the ark should go with him. Then he went away to the mountain from the top of which Moses saw God’s promised land. When he reached the mountain, Jeremiah found a cave-dwelling; he carried the tent, the ark, and the incense-altar into it, then blocked up the entrance. Some of his companions came to mark out the way but were unable to find it. When Jeremiah learned of this he reprimanded them. “The place shall remain unknown”, he said, “until God finally gathers his people together and shows mercy to them. The Lord will bring these things to light again, and the glory of the Lord will appear with the cloud, as it was seen both in the time of Moses and when Solomon prayed that the shrine might be worthily consecrated.” Many explorers have looked for the Ark on mount Nebo without success. Some think perhaps instead of saying “to the mountain from the top of which Moses saw God’s promised land.” it was meant to read the mountain Moses saw when He viewed the promised land. As many knows, Jerusalem can be seen from Mount Nebo. There are a few problems with this quote. Firstly that it’s not built on any written tradition. The other is Ezekiel’s vision that we just mentioned. It took place only five years prior to Jerusalems destruction. Jeremiah tried to leave Jerusalem but was held captive until the city was destroyed. Jeremiah didn’t have the opportunity to take the Ark to Nebo during this time and it would have been impossible during the siege. Also, it’s worth noting that although Jeremiah was a Levite the other Levites didn’t give him any high position. They regarded themselves protector of the law and the Ark and dismissed, ridiculed and punished Jeremiah often. They most certainly didn’t except him as a true messenger from the Lord and so they would be unlikely to give Jeremiah a task to carry the ark out of the city. That he would have had the opportunity to just take the ark with him without being seen or noticed are highly unlikely as others were guarding it. (Jer.37: 11-13) And so if Jeremiah didn’t do it the story already has flaws as it’s naming the wrong person. But of course, anything is possible. This book has a different version of the events, and it was written even later than the other. Baruch was Jeremiahs’ friend but this book is recognized as a pseudepigrapha which means that the claimed author is not the true author. It’s thought to have been written as late as the first or second century after the fall of Jerusalem. This specific book has only been found among the Syriac manuscripts. Again, because it’s not written around the time the Ark disappeared or after sources from that time, it’s at best a myth or legend about what happened. But myth’s and legends do sometimes have elements of truth in them. And so it’s interesting in that sense. This writing can be compared to the Maccabean book in the sense that both say Jeremiah was there when the Ark was hidden and that both say the Ark will re-surface in the future. In the book of Baruch, it says it will be hidden there until God would bring it forth again in the end times. It’s interesting how it’s also mentioned that not only the Ark was hidden but also the altar of incense. The Bible actually say things that were taken from God’s house to Babylon, but among all the items listed, it’s not just the Ark of the Covenant that is missing. The other items built by the foot of Mount Sinai are also apparently lost. The altar of incense, the table of shewbread and the seven-branched candle-stick that stood in the holy place in the temple. None of these are mentioned taken, or given away or misplaced. It’s just not mentioned in the same way the destiny of the Ark isn’t mentioned. A writing even younger then Apocalypse of Baruch is the Kebra Nagast. It was written in Coptic. Its title in English is ‘The glory of the Kings’. It was written very late, in the 14th century. Many believe it was written even as late as the 16th century. Nevertheless, it’s not claimed to have been written before. The account tells that Solomon had a sexual encounter with the queen of Sheba and that it resulted in a son. It’s strange considering the Bible never says there was a sexual contact between them, and she visited him at a time Israel was united and grand. She had heard rumors of Solomons wisdom and it says she was given gifts and returned home. This account, however, claims Solomon tricked the queen to sleep with him and that the son, Menelik I, later visited his father seeking his blessing. The account also says that Solomon tries to convince his son to be king after him. Menelik gets ready to leave and Solomon sends him a company of the firstborn sons of the elders in Israel. Upset about leaving Jerusalem they then smuggle the Ark from the Temple. When Solomon notices the Ark is missing he tried to follow his son. The Ark is claimed to have mysterious powers and supernaturally fly the company towards Sheba. It’s then said that he engaged in wars and brought the ark with him and that because he had the ark he won all his battles. Solomon is said to have started idol worship because the Ark was lost. Basically, for anyone who knows Bible history well, this story of Kebra Negast not only challenges the stories in the Bible but reduces God’s greatness and contradicts His words. It’s impossible to believe both accounts and being left with a choice I would have to choose the Bible. Also because it’s dated to the 14th century it’s highly unlikely to be anything but religious-fiction written to strengthen the agenda. There are other stories about the Ark being in the Vatican cellar, or that The Knights Templer excavated at the temple mount, found it and moved it. Islamic sources claim the Ark was hidden close by Tiberius (North in Israel), or Antioch (Now south-east Turkey) or Mecca to protect it against the Roman army. However, the Ark had long been hidden before the Roman era and these records are also very young when compared to the time the Ark was actually hidden. He claims the Ark will be found by the Islamic end-time prophet “The Mahdi”. The Mahdi is thought to be the forerunner to Jesus’ second coming which Muslims do believe in. However there is no reference to the Mahdi in the Koran, it mostly comes from the hadiths. It is understood that the Mahdi as a great end-time persona will battle the antichrist himself, but there are different traditions and understandings between Muslims of Mahdi’s mission. Already many have claimed to be the Madhi. It’s clear that there seem to be a lot of guesswork tied to its whereabouts, and although some claim they are visions from God, they can’t all be right unless they are talking about different copies of the Ark. Also, it’s worth noting that people are copy-cats. That means that there might be replicas of the Ark ‘out there’. And so any ark discovery must fit the measures and description of the Bible (something the Ethiopian doesn’t as it’s too small), and it must have tables of stone in them written by the finger of God which would make it extraordinary. What expert can tell us if something is the real ark or not if they were not there when it was built? They can date evidence but even dating isn’t proof that the Ark found is the original. And so unless God allows some evidence to be found with the Ark indicating it is the real Ark, it would be hard for any expert to say for sure. Is it possible that Ron Wyatt’s discovery of the Ark of the Covenant was the public revealing prophesied? His discovery although kept secret by the authorities has been made public and is easily accessible to anyone wanting to learn about it’s whereabouts. I suggest this because “today is the Day of salvation” and the discovery is even NOW being used to save souls. It also proclaims the greatness of our God Who has left “proof” that Yahshua shed His blood to atone for our sins. Maybe there will be a future supernatural revelation of the Ark. But it seems to me that the revelation of its location and AND that it is directly underneath Calvary where the blood flowed is out there for all to see and know! The discovery fills my heart with greater rejoicing and greater love for our God once I learned where the Ark is located. It’s true location speaks to the beauty of our God Who does all things wonderfully. 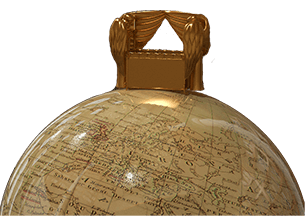 I pray that our LORD will make it’s true location made known clearly to all the world…..soon. Thanks for the historical article my sister and for giving pause concerning the apocryphal accounts. God’s throne never left Mt. Zion/Moriah! Thank you so much for sharing your thoughts. I hope many will read your comment and consider the truth in what you are saying.